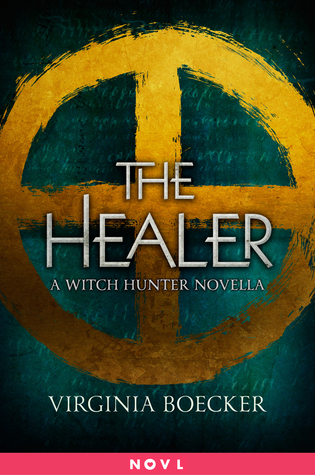 Synopsis: John Raleigh, one of the youngest and most talented magical healers in all of Anglia, can relieve any ailment except, perhaps, his own broken heart. Since the deaths of his mother and sister who burned at the stake for witchcraft, John has spent his nights lost in nightmares and his days drowning in melancholy. That is until he's summoned to the home of Nicholas Perevil, the most powerful wizard in the kingdom, who suffers from a mysterious illness that has confounded every other healer. John immediately knows that this is no normal sickness. Nicholas, it seems, is falling apart because of a dangerous curse, and their only clue for a cure is a single name—Elizabeth Grey. Who is this girl and how has she become mixed up with such dark magic? John must put these questions aside when Elizabeth is brought to him from the palace's prison on the brink of death. It will take everything he has to save her, and to save Nicholas, but perhaps he'll manage to save his heart along the way. Review: Lets juts start off as I like to with how much I love this cover! Taking the American styling of the Witch Hunter which I liked because of it's simplicity yet impact, just like we have here. So a good cover is always a good way to start. I really enjoyed The Witch Hunter (full review you can find HERE) so it's great to go back and get a little extra before the next book, and a novella is great for that. It's a quick easy read, where you fall back easily into the story, just from a different perspective. And John's none the less. I did love John as a characters, and he was a natural choice to look at. His has a beauty to his personality which really came across and the story flowed well from him. It gave little bits of context and history that helped to build the world up and fill in some of the gaps. If you're looking for something light and fun to read this - and if you like witch stories (and the magic here is much more subtle and natural) then read this! Dau CD Hay | Ban Dau CD Denon chinh hang, giá tot cho moi nha.